Social networking is like a stalker; it follows you everywhere you go. It would be almost impossible for a student to go through a full day of classes at McKendree without hearing about or even use social media. We utilize social networking to connect with family and friends across the globe, keep up with current events, network with people with similar career paths and now, we use it to develop relationships. According to a study done by the Pew Internet Research project, 66% of online-daters have met their significant others in person after first meeting them online. This statistic was not alarming; this percentage is the number of people who actually set out to meet people on dating service websites like eHarmony or Christian Mingle rather than Twitter or Facebook. What about people who have signed up for Twitter, Facebook or even Instagram? People who sign up for non-dating websites form real-life relationships by making friends and meeting up with them. Years ago this would have seemed odd, dangerous or maybe even desperate. As children, we were taught not to trust people whom we meet online; rightfully so, you never know who is behind the computer screen. Even with the success of the MTV show “Catfish” (a show where people have met online and started dating, only to find out that when they finally meet their virtual ‘significant other’ in person, the other individual usually isn’t who they claimed to be), people still tend to meet online before meeting up in person. The taboo of meeting a person online is shrinking as well as the fear associated with it. Some people actually prefer meeting online rather than in person. I couldn’t agree with her more; I met my boyfriend online. We met on Twitter last year, and have been together ever since. I often ask myself whether or not we would have ever met at all, had it not been for a social media website. We have over 10 mutual friends, and frequently go to the same clubs and bars, but did not meet one another until Twitter. I feel like social media is an excellent tool to meet people whether the people we meet become our friends or even potential spouses. Dating online also has the same issues traditional dating comes with. 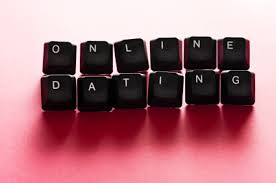 It is all right to be cautious, but online dating can be safe and fun. Most people believe that fate is the development of events beyond a person’s control, and determined by a supernatural power. Some believers of fate would argue that social media helps predestination, instead of hindering it. Online dating can be dangerous so people should always use good judgment and check out some of these tips: https://www.match.com/help/safetytips.aspx?lid=4. Like it or not, online dating is happening, and if approached properly, it can be a great life experience. If you have an opinion on online dating, feel free to email your comments to mckreview@mckendree.edu or drop one off on the website: mckreview.com.